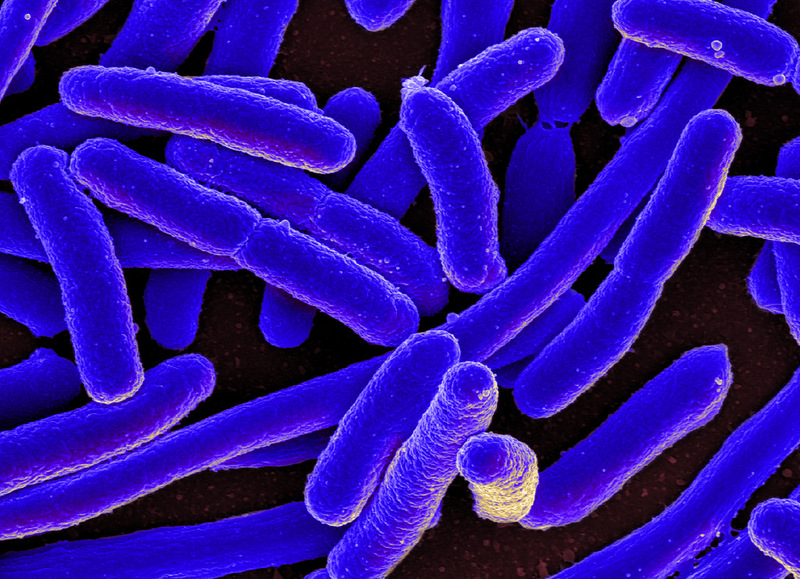 While most Escherichia coli (E. coli) strains are harmless, some strains make powerful toxins, known as shiga toxins, and can cause severe illness. E. coli O157:H7, the most common type of shiga toxin-producing E. coli, is capable of causing severe illness characterized by bloody diarrhea, and potentially leading to a serious and sometimes deadly complication known as Hemolytic Uremic Syndrome. Though infections can occur among persons of all age groups, children under 5 years of age are most frequently diagnosed with the infection. Shiga toxin-producing E. coli infection causes symptoms ranging from mild, non-bloody diarrhea to severe bloody diarrhea and stomach cramps. Usually little or no fever is present. In children under 5 years of age and the elderly, the infection can also cause a complication called hemolytic uremic syndrome, in which the red blood cells are destroyed and the kidneys fail. E. coli O157:H7 can live in the intestines of healthy cattle and other animals. Meat may become contaminated during slaughter. 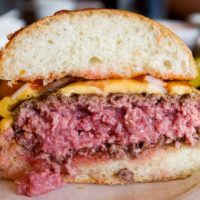 Eating undercooked beef, especially ground beef, is a major cause of infection. Handling animals at a farm or petting zoo can also cause infection. 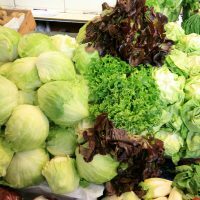 E. Coli bacteria can also be transmitted by consuming contaminated raw sprouts, lettuce, spinach, unpasteurized milk, juice, and swimming in or drinking sewage-contaminated water. The bacteria are also found in the stools of infected persons and can be passed from person to person if good hand washing habits are not followed. Some other bacterial and viral infections can cause similar symptoms. Shiga toxin-producing E. coli infection is usually diagnosed through a stool culture or by a test which detects the toxin in an infected person’s stool. Most persons recover without medical treatment in 5-10 days. Antibiotics should not be used to treat this infection. Antidiarrheal agents like Imodium® should be avoided as they can slow down your body’s digestive process, giving the toxins more time to absorb and may cause longer duration of illness . Hemolytic uremic syndrome is a life-threatening condition usually treated in an intensive care unit (ICU) in a hospital. 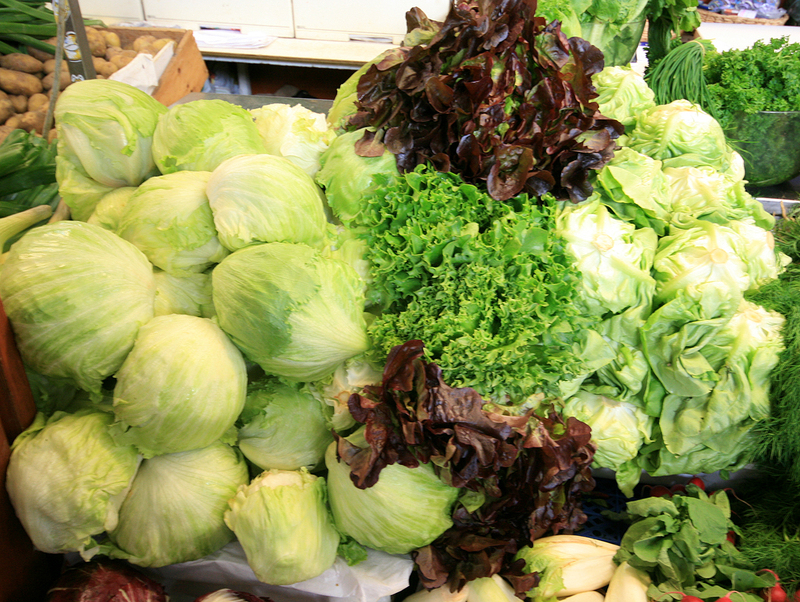 Shiga toxin-producing E. coli, including E. coli O157:H7, is present in the United States including Hawaii, though the infection is less commonly reported than other foodborne illnesses. Do not eat undercooked ground beef. Ground beef should be cooked until a thermometer inserted into the thickest part of the meat reads at least 160°F. 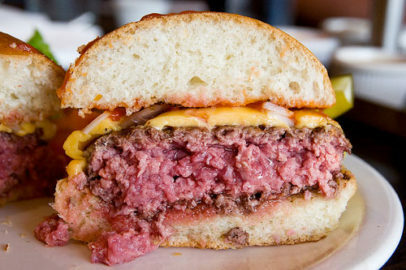 Ground beef should not be pink in the middle. Be careful to avoid cross-contamination when cooking in your home. 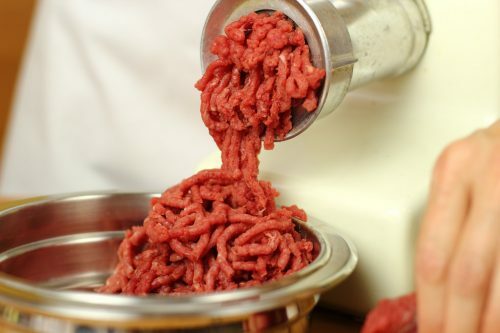 Keep raw meat separate from other foods. Wash hands, counters and utensils with hot soapy water after they touch raw meat. Never place cooked hamburgers on the unwashed plate that held the raw patties. Wash fruits and vegetables well, especially those that will not be cooked. Avoid raw sprouts. Do not drink untreated water, and avoid swallowing water while swimming. Wash your hands well after using the toilet, changing diapers and before preparing or eating food. After changing diapers, wash the child’s hands as well as your own. Wash your hands with soap and water after any contact with animals or livestock. Students with diarrhea should stay home from school until their doctor gives them permission to return. Food handlers, day care workers, and health care workers must have their doctor’s permission to return to work, usually after a lab test shows they are no longer infected. E. coli O157:H7 is a ROUTINE/ENTERIC (enteric prevention priority) notifiable condition and must be reported by phone if the individual is a food handler, direct care provider, or pre-school aged child. Otherwise routine reports may be used. 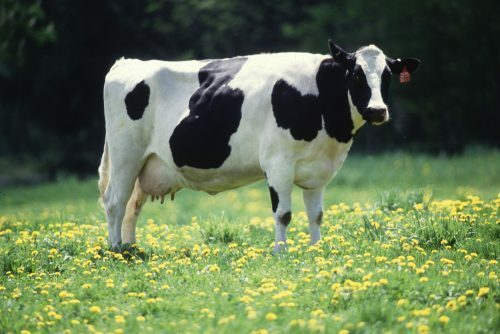 However, if 2 or more persons are identified with E. Coli 0157:H7 and are known to have eaten: (a) a common food, or (b) at a common place, this may be considered a foodborne illness and is therefore required to be reported to Disease Investigation Branch by telephone as soon as provisional diagnosis is established, followed by a written report (i.e., Communicable Disease Report) submitted by mail or fax to the Disease Investigation Branch within three days.